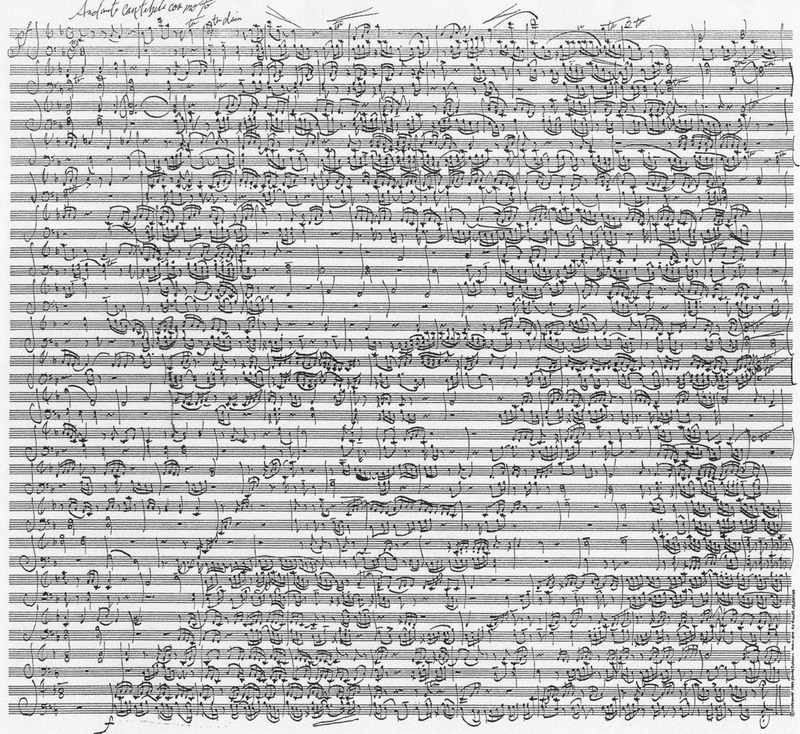 Beethoven is one of my favorite MusicArt subjects. As I have produced many different versions of him, I’m continually trying to produce that ever elusive perfect portrait. This particular work seemed to flow rather easily and I think the music is appropriate. I have a very good feel for writing in his manuscript style which, for me, is very conducive to MusicArt portraits of him, especially his hair. As I completed the top third of this portrait it looked like it was a piece of Beethoven’s work. I was especially pleased with the detail in his eyes.